Even a hurried, single day at CES will produce plenty of bits and pieces that don’t fit into a real story. So I conclude my 2018 coverage with the following hodgepodge in lieu of a regular set of Wednesday notes. CES attendees tend to wear business attire, mostly business casual. (You can judge for yourself if you watch some of the B-roll videos available online.) But I did see one guy wearing the Rick and Morty T-shirt that I’ve embedded here, so I guess there’s no true dress code. I passed someone else walking with a selfie stick, apparently dictating a video blog post. Exact quote: “This is, like, giant convention center.” I almost wish I could have stuck around to hear more. Another, different use of people carrying sticks was the trend toward guided tours. I saw more of them, each leading groups of about a dozen rapt followers, than in the past four CESs put together. Personally, I can’t imagine allowing someone else to curate my serendipity of finding new products and trends that I find interesting, much less hiring them to do it. Those tours must not be designed for people like me. I got a chance to catch the glasses-free 3D TVs at the Stream TV booth. BOE is partnering with Stream to make 8K TVs with Stream technology that lets viewers have the 3D experience with their naked eyes. A few years ago, 3D was a big deal at CES, then it was written off as a fad. Maybe this will be the big comeback. 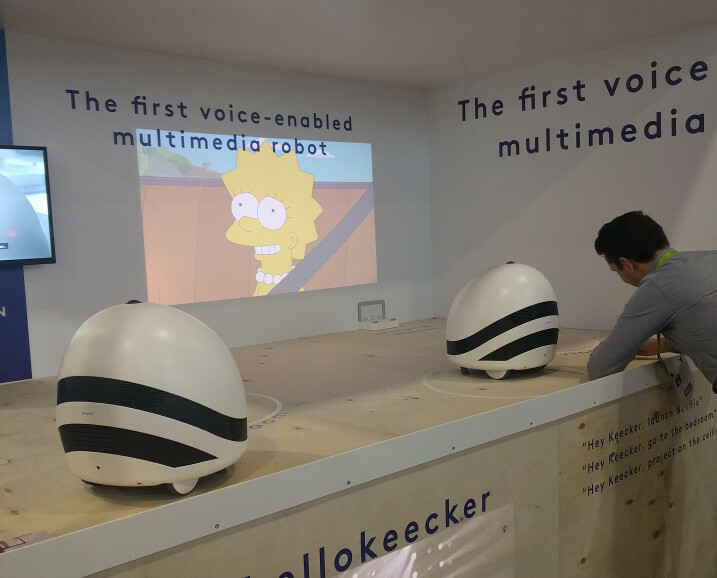 For some reason, I was impressed by the Keecker, which is a voice-enabled robot with cameras, an audio system and a video projector; it can roll around to project movies on any wall in your home. Then I got home and the wife asked, “Why would you need that?” Well, you could use it for videoconferencing, or tell it remotely to show you what’s going on at home, or use its smartphone app to see exactly how humid it is. I guess it just struck me as cool. My predictions of record-breaking hugeness seem to have been accurate. 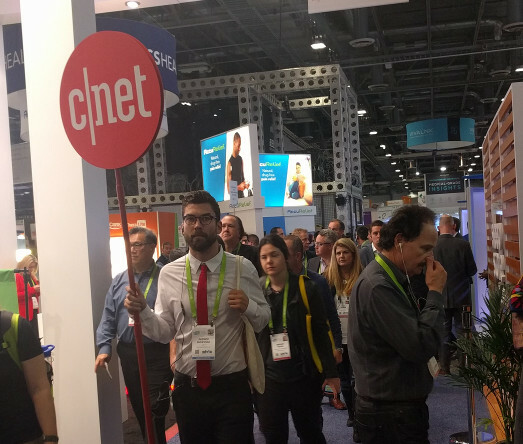 CES wrapped up with the largest exhibit area ever, and I’ll bet that when the audited attendee numbers come in, they’ll also be the highest ever. How long can it grow like this? 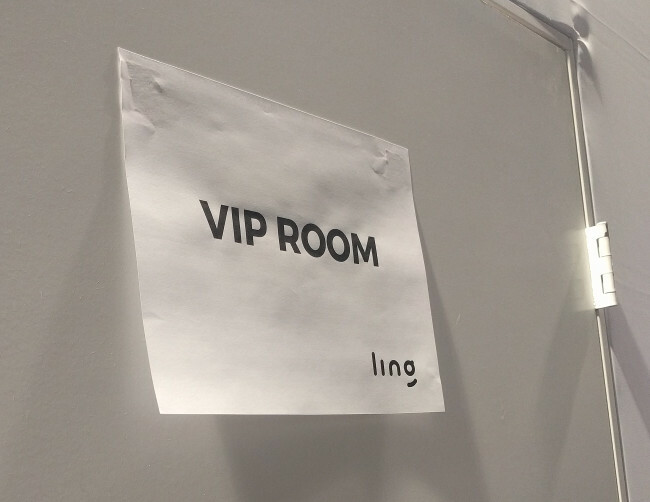 Finally, in my opinion nothing says “Prepare to enter our special place to be treated as royalty” like a VIP Room sign printed on a wrinkled piece of copier paper and stuck to a door by two pieces of tape. Of course, now I’ve completely torpedoed any chance that they would invite me in. See you next year, CES!